April and May have historically been busy months for us. what's better on a road-trip than an afghan to crochet? Especially when your sweetie is happy to do all the driving! Yeah! This afghan is for the "Man Cave Makeover" series: see this post and this post for the progression of this room makeover. The blanket was inspired by a Sandy at Teacup Lane. Click here to see her scrumptious Candy Cane afghan. So proud I may burst! Congratulations on your daughters graduation Astri you have a good right to be proud, I hope that you have a fabulous trip. The blanket is beautiful! Love the little details in the white area...looks like little flowers.Just love it.. Have a safe trip and congrats on your daughter graduation!! Gratulerer med den nydelige datteren. Så fint mønster på teppet. Such a pretty blanket Astri......beautiful colours and design.....and I actually have the book.....yay!!! Félicitations à cette studieuse demoiselle, bravo !! Voici une couverture encore bien confortable. Wow to the afghan, its a beauty. Congratulations to the little bug! You should be proud, bust away! Okay Followers of Astri...this is the NVO. The afgan is beautiful, but would you agree that it is no longer a "man cave" once it is placed on any piece of furniture???? Depends on how broad-minded the man is. If a guy can live with floral fabric, he can surely take a crochet afghan. I LOVE the afghan! That is such a cool pattern! P.S. I LOVE the blanket! NO...really LOVE it. I like the way the white looks like a flower! Absolutely love your blanket. The colors are great! I have to get that book. I've been seeing it everywhere. Congratulations to your daughter and have a wonderful trip! Love your blanket so far. You can take your crochet hook on the plane, but not your scissors. Buy this book before you go to Hawaii, "Hawaiian Lei in Crochet" by Robert E. Wong. You can finish at least one Lei on the plane and be the envy of all you meet. I thought I was done with Storm Clouds...and then you show me another beautiful color combination!!! Every time I come to visit you you have crocheted something that I just love. I love the daisy rows - well at least thats what it looks like to me...little white daises. 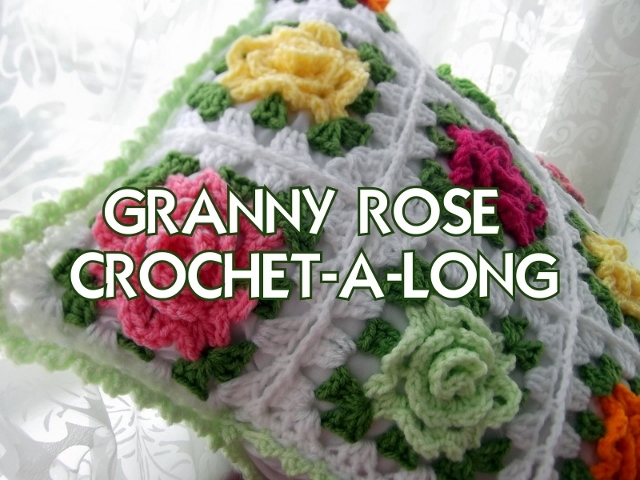 I'm still busy working on my Christmas Granny Rose throw - another inspiration from you. You keep me busy. Well, have loads of fun in Hawaii with your daughter. Hubby and I went there many years ago for one of my business conferences and loved it. Fantastic blanket! I love how the white and green rows turn into flowers. Kauai sounds beautiful and warm. Have a great time! Congrats to your whole family on your little one's wonderful achievement! 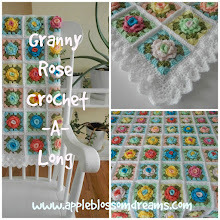 The daisy strips on your new blanket are very attractive indeed - another really clever idea! Jan Eaton is a really great craft writer - love her clear diagrams and comprehensive instructions. 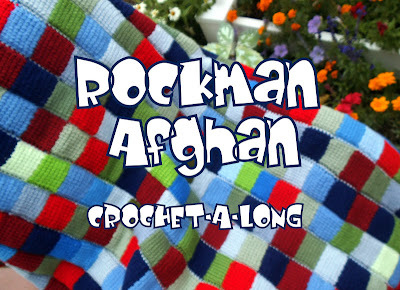 You are all so kind with your comments about the afghan and Little Nug. It makes me feel so good. Thank you all for you interest and warmth! Where do i get the Mancave afghan pattern?